Open Education Week is an annual convening of the global open education movement to share ideas, new open education projects, and to raise awareness about open education and its impact on teaching and learning worldwide. Each year, the Creative Commons global community participates, hosts webinars, gives local talks and shares CC licensed educational resources. As part of the event this year, the Creative Commons Open Education Platform and CC Poland are hosting a 24-Hour Web-a-thon: 5-6 March (depending on your time zone). We have amazing speakers from around the world presenting in multiple languages. Experts from Algeria, Nigeria, Argentina, South Africa, Italy, Chile, United Kingdom, Afghanistan, United States, Ireland, Sweden, Canada and Poland will present their open education projects. We are going to briefly present the main topic of next OE Global 19, the main tracks in the call for proposal and give our support to colleagues who might want to ask questions about how to submit their proposals, according to the different formats available this year. Susan Huggins, OE Consortium. Chrissi Nerantzi, University of Birmingham. Paola Corti, Politecnico di Milano. Colorado’s unique leadership with statewide OER efforts is steered by the OER Council, a legislatively created advisory group comprised of representatives from a variety of disciplines and institutional types. This session will highlight how a diverse group of individuals in the Rocky Mountain state have advocated and executed OER efforts at the state level, while also highlighting future ambitions in policy, practice and purpose. Meg Brown-Sica, Colorado State University. Brittany Dudek, Colorado Community College Online. Spencer Ellis, Colorado Department of Higher Education. Jonathan Poritz, Colorado State University-Pueblo. We will share the projects and initiatives happening in Canada around open education. Specifically looking at Provincial initiatives in postsecondary education as well as policies in Open Education in Canada. We will also highlight what is next for Canada, and what we hope to see for the future of Open Education. Amanda Coolidge, BCcampus. Lena Patterson, eCampusOntario. The post Open Education Week: 24-Hour Global CC Network Web-a-thon: 5-6 March appeared first on Creative Commons. facilitate and support a community of practice for Open Pedagogy The agenda is available here. Part of this approach to failure in research is due to the fact that the research system has traditionally rewarded those who are the first to report a finding over those who are second, and those who report a positive result over those reporting a negative one. However, research generally involves a trial-and-error approach and a plethora of negative findings, or protocols that require troubleshooting before they are fine-tuned. Thus ‘failed’ experiments are common; more so than is often recognized or reported. Much effort and many hours of meticulous research endeavour go unrecognized by the current research assessment frameworks, resulting in a considerable squandering of potentially important research outcomes. The ‘Failures: Key to success in science’ event at the Cambridge Festival of Ideas 2018 aimed to reflect on these considerations in a conversation involving our five panelists and the audience around the notions of failure and success in science. Our five panellists kicked off the conversation by giving their perspective on what a successful research career should look like. ‘How do we define success?’ asked Cathy Sorbara (Co-chair of CamAWiSE, Cambridge for Women in Science and Engineering), maintaining that science does not have a defined endpoint, that collaboration should be a key part of the research process, and that scientists need to think about how they communicate their work, particularly to those unfamiliar with research. Tapoka Mkandawire (PhD candidate, Sanger Institute) felt that a key aspect of success is to work on something that you feel passionate about and are keen to share. The audience was interested in the forms that communication of research could take and the panellists noted that communication about research should not be restricted to publications, putting forward ideas around visual formats such as videos. Tapoka noted that her research group has developed a comic book to more easily describe their work to children. A common theme was that the binary classification of success vs failure is somewhat unfair. Should a result be tagged as failure only because it’s negative and not been published? Fiona Hutton (Head of STM Open Access Publishing at Cambridge University Press) advocated the development of a more collaborative open pathway for research, with more openness at all steps of the process, such as that demonstrated with open lab notebooks, to capture the incremental steps that make up the research process. The sharing of negative and null results should be encouraged as well, as a move away from frameworks that rely on impact factors to assess the quality of research; Fiona mentioned DORA as a good initiative in this space, which is gaining support from institutions and funders. Arthur Smith (Deputy Manager of Scholarly Communication (Open Access), University of Cambridge) and Stephen Eglen (Reader in Computational Neuroscience, University of Cambridge) tackled the challenges with the current research system and acknowledged that this places Principal Investigators (PIs) as the ‘survivors’ of the system, with only a few reaching the top of a steep pyramidal career structure. Stephen stressed that the driving force for getting into research should be a genuine interest in science and not the goal to eventually become a PI. Arthur noted that there are many other career paths available after a PhD and that the skills gained can be used in many other areas, such as the private sector. The training of PhD students should include aspects that go beyond publishing, and should balance this with the development of communication and other skills. More support for early career researchers, so that they can have an informed, broader view of their career, and of the options after a PhD. Further recognition for the wide range of different roles that scientists play beyond the publication of research findings – for example, peer review activities, mentorship, etc. Provision of credit for recording and reporting troubleshooting, for any work that may not follow the shape of a conventional publication but which would help others engaged in related research. More training for those in a research path, to help them develop a variety of transferable skills, and to recognize the value of those skills. Increased diversity – higher diversity can only be beneficial in driving change towards how success is defined. Achieving these aims and helping to sway current views about failures in research represents a formidable task, but – much like science itself – change progresses one step at a time and we hope that the engaging conversation at the Festival of Ideas provided one such step to shift how we define “success” in research. As we pursue initiatives towards such change, let’s remind ourselves of Arthur Smith’s definition of success: ‘Success is what makes you happy’. I’m thrilled to share the first episode of our podcast, Plays Well with Others, with our community. It’s about the art, science, and mechanics of collaboration. Ask yourself: How often have you walked into a room where you were about to work with colleagues, friends, or even strangers, and thought, “I’m going to focus on being a great collaborator today”? We spend so much time on leadership, and hardly any time on helping each other do great work together. We hope to change that, in our own small way, with Plays Well with Others. I couldn’t be more excited about this project — I’ve always wanted to produce radio journalism. I love interviewing people and helping them tell the best version of their stories. And it’s been a joy to work with my colleague and collaborator Eric Steuer on the podcast’s design and development. I’ve loved the opportunity to do creative work, and to work directly on something like this that is close to my heart, and that I feel is really good. We’re incredibly proud of how it’s turned out, and we hope you’ll enjoy it and learn something along the way. Collaboration is a natural topic for me. My job at CC is all about making collaboration happen, and it’s been at the centre of my work for my entire career — across cultures and timezones. I’m fascinated by the things that we can only do together. Collective action — from the power of a union to build a more equitable world, to the ability of shared public investments to strengthen communities, to the potential of the commons to democratize knowledge — these ideas inspire me. It’s why I do what I do. The first episode of our show focuses on the writer’s room on a comedy show. Our guests, Anne Lane and Wayne Federman, deserve our thanks for trusting us with their stories. They had no idea if what we were making would be any good, and there was no body of work to look at, since it was our first episode. Anne and Wayne were open and honest, and they gave us a view into a special room that very few people get to visit. But they also helped reveal insights into how collaboration works in groups: how to deal with the disappointment of watching your joke fall flat; the importance of picking up what other collaborators are laying down (“yes, and”); and an acknowledgment that many ideas, combined with the need to ship an episode, yields better results than writing alone in your basement. I hope each episode yields such great insights — that’s certainly our goal. Our operating thesis is that digging into how collaboration really works might help us all become better collaborators ourselves. Each episode homes in on an element of collaboration, told by some of the world’s great collaborators. We’ll publish one episode each month, and the first season will likely run around eight episodes. I hope you’ll join us along the way, and that we’ll all learn some new tactics, techniques, and approaches — together. The post Announcing Plays Well With Others, a new podcast about the Art and Science of Collaboration appeared first on Creative Commons. In September 2018 the European Parliament voted to approve drastic changes to copyright law that would negatively affect creativity, freedom of expression, research, and sharing across the EU. Over the last few months the Parliament, Commission, and Council (representing the Member State governments) were engaged in secret talks to come up with a reconciled version of the copyright directive text. The closed-door “trilogue” negotiations are now complete and a final compromise has been reached. The text is not yet published but MEP Julia Reda has shared unofficial versions of Article 13 (upload filters) and Article 11 (press publishers right). Both of these carried through with no major improvements on behalf of user rights and the public interest. It’s more clear than ever: Article 13 will require nearly all for-profit web platforms that permit user uploads to install copyright filters and censor content. While there was an earlier version that included an exclusion for small companies, that provision has been reeled in. Now only services that have been operating for less than 3 years, with annual revenue below €10 million, and with fewer than 5 million unique visitors each month, will be excluded from the rule. And the filters need to process all types of content — from music to text to images to software — anything that can be protected by copyright. If platforms don’t take action, they assume liability for what their uses publish online. This will surely harm creativity and freedom of expression in Europe. Some types of services will be exempted, for example Wikipedia, or open source software platforms such as GitHub. But for the vast majority of online platforms in Europe this will mean more regulatory burden and costs, and it will make it more difficult to compete with the big established platforms. Article 11 got no better. It would force news aggregators to pay publishers for linking to their stories. The counterproductive press publishers right would last for 2 years. The text claims that the right will not apply to “individual words or very short extracts of a press publication.” At least openly licensed works such as those under Creative Commons or in the public domain would be exempted. The final text of the directive will be released soon. While the trilogue negotiators focused on Articles 13 and 11, there were some productive changes that will improve the situation of the commons, cultural heritage, and research sectors. For example, we know that the negotiators agreed upon a provision to ensure that reproductions of works in the public domain will also be in the public domain. They included text to improve the ability for cultural heritage institutions to better serve their users online. And the negotiators slightly improved the exception on text and data mining by making mandatory an earlier optional provision that would expand the possibilities for those wishing to conduct TDM. The European Parliament elections are coming up in May, and the existing Parliament will vote on the final text of the copyright directive beforehand. The plenary vote will take place between late-March and mid-April. This is when all 751 MEPs will get a chance to vote Yes or No on adopting the text as finalised by the trilogue. With Article 13, it’s no exaggeration to say that it’ll fundamentally change the way people are able to use the internet and share online. And the European copyright changes will affect how copyright develops in the rest of the world. Even with some of the minor improvements to other aspects of the copyright file, it’s hard to see how the reform — taken as a whole — will be a net gain except for the most powerful special interests. There is still time to make your voice heard on stopping the harmful upload filters and press publishers right. If you’re in Europe, visit www.saveyourinternet.eu to get more information and contact your MEPs before the vote. The post EU copyright directive moves into critical final stage appeared first on Creative Commons. We love it when preprints go on to be accepted as formal journal publications and we are especially excited to announce that EMT network-based feature selection improves prognosis prediction in lung adenocarcinoma, a featured preprint in our Open Access week event, is now published in PLOS ONE! In October, we celebrated OA Week’s theme of “Designing Equitable Foundations for Open Knowledge” by teaming up with PREreview to host virtual preprint journal clubs where researchers from around the world could share their expert opinions on preprints AND get credit for their reviews. Thanks to this event, the authors of this preprint received crowd-sourced feedback on their work even as their submission underwent formal peer review by PLOS ONE. Can you tell us a little bit about your research? What made you decide to post the work as a preprint? We were working on the topic of molecular signature identification using multiple Omics data. The reason why we posted our work was to let our new results reach the research community. Based on our experience, preprint works are also read and discussed by researchers, as well as the formally accepted ones. How does your field or research community feel about preprints in general? In my opinion, preprints are welcomed if the work has a great idea to share. This can assist or even inspire other researchers in their work without waiting for the article to be formally accepted. Tell us about your experience discussing your preprint at a live journal club—How did you feel about the opportunity? I was a bit nervous because I had no such experience before. I wondered whether the audience would have positive or negative opinions about my work, although I think my work has its value. I was excited too, because our work is read by researchers all over the world. Some of them are from a relevant but not the same discipline. I was curious to know their opinions on our manuscript. Did you use any of the feedback from the virtual journal club? Did you find this kind of feedback useful in general? Both my professor and me found the suggestions from the virtual journal club very helpful. They gave us useful advice from the viewpoints of both readers and researchers. Much of the feedback can be implemented in a short time to improve the quality of our work. Some other feedback can be learned and used in our future research. There were a few mistakes that we might not have found out, if not learned from PREreview feedback. PLOS wholeheartedly supports preprints and the myriad benefits they offer researchers. We’re making it easier for authors to share their work as a preprint, immediately upon submission, through our posting service in partnership with bioRxiv and we were happy to find another partner in PREreview who have pioneered live preprint journal clubs for early discussions like these to take place. You can find more information on preprints here and live-streamed journal clubs here. Please also join us in congratulating Dr. Shao and her co-authors on their recent publication! We welcome Plan S as a ‘decisive step towards the realisation of full open access’1, in particular the push it provides towards realization of a research process based on the principles of open science. This is fully aligned with our mission to bring scientists together to share work as rapidly and widely as possible, to advance science faster and to benefit society as a whole. Our publications have operated in line with the core principles outlined in Plan S since the launch of our first journal, PLOS Biology, in 2003. We recognize that wide adoption of support for Plan S may bring additional competition within the open access publishing space. We welcome this evolution as a positive change in research culture, resulting in greater availability of information, growing inclusion in the scientific process and increasing the speed of discovery and innovation. Below is our response to the call for public feedback. Is there anything unclear or are there any issues that have not been addressed by the guidance document? While welcoming Plan S, its principles and stated intentions, there are some points where we believe additional clarification would be beneficial. We are glad to see emphasis on changing research assessment and commitment to the principles of DORA as part of Plan S. We believe this is critical to enabling change in publication behaviours, allowing the value of research outputs to be assessed on their merits rather than through an aggregated metric based on publication venue. However, we note that although the original publication of Plan S states that members of cOalition S ‘commit to fundamentally revise the incentive and reward system of science, using the San Francisco Declaration on Research Assessment (DORA) as a starting point’1, the implementation guidance states only that ‘cOAlition S members intend to sign DORA and implement those requirements in their policies.’ We ask cOalition S to provide clarity regarding the steps that will be taken to drive the ‘fundamental change’ indicated in the original publication. While recognizing the need for a route for subscription journals to transition away from publication behind paywalls, we believe that without stringent guidelines and compliance checks, ‘transformative deals’ may have significant unintended consequences, reducing choice and narrowing the market. As identified by Adam Tickell in his 2015 review2 the need for ‘OA policy to offer greater choice to research producers’ remains, and we believe this should be a primary consideration for cOalition S in considering the future shape of the research and innovation market, particularly as it relates to the assessment and communication of research findings. ‘Transformative agreements’ offer advantage to the largest players and to publishers with substantial subscriptions business, as smaller publishers have to ‘wait in line’ to enter negotiations while those, including but not limited to PLOS, without legacy subscription businesses cannot participate. We acknowledge that the intention of cOalition S members is that ‘transformative agreements’ should not decrease the amount of money available in the system to fund publishing in other compliant venues, however, we believe this is the likely outcome as limited institutional and library publication budgets become tied into large ‘read and publish’/’publish and read’ (RAP/PAR) deals. This perpetuates the dominance of the ‘big deal’ in the market, which in its rebranded ‘publish and read’ form, has the potential to become the status quo rather than a step towards transformation, much as hybrid journals have become the status quo in relation to open access. Moreover, the transition of subscription ‘big deals’ into ‘RAP/PAR’ deals risks locking the high cost of subscriptions into an open access future, if deals so far are anything to judge by. We would like to see a ‘clear and time-specified commitment to a full Open Access transition’ as outlined in the implementation guidelines, be a central requirement for all journals covered by a ‘transformative agreement’ in order to be considered compliant with Plan S. We also ask for greater clarity on the allowed start and end dates for these agreements. While we understand that this is a recommendation rather than a mandatory criterion for compliance with Plan S, we believe that the proposal that there be ‘direct deposition of publications by the publisher into Plan S compliant author designated or centralised Open Access repositories’ has the potential to add cost and complexity to compliance. Currently, we and many other publishers syndicate our published articles to PMC/Europe PMC. The process of direct deposition to each repository is not without cost, requiring both staff and technical resources to set up and to run. These costs will increase should it become necessary to deposit to a range of ‘author designated’ repositories. This is especially the case given the importance of equitable treatment of publications from researchers in different disciplines and/or geographical regions, particularly as cOalition S grows. We encourage cOalition S to reconsider this recommendation and propose deposition in a small number of recognized repositories or dispatch services, to facilitate compliance. In the published guidance, cOalition S calls for ‘full transparency and monitoring of Open Access publication costs and fees’ and indicates the potential for ‘standardisation of fees and/or APC caps’. We understand that the cOalition has revised this position and intends to call for transparency but not to introduce set caps. We welcome this change of approach which we would like to see reflected in the next iteration of the written guidance. We believe that requiring transparency will allow funders, or others paying the costs of publication, to assess the value of their payments while minimizing the opportunity to give rise to unintended consequences. In considering potential unintended consequences, there is a useful parallel with the introduction of tuition fees at universities in England. Since tuition fees were introduced in 1998, they have been capped by the UK government. According to a House of Commons Library briefing paper3, each time that the cap has been raised, almost all English HEIs have increased their fees to the maximum allowed level. When it was announced that the cap would increase to £9,000 from 2012, Lord Willetts, then Minister for Universities and Science, said that the maximum fee would be charged only in ‘exceptional circumstances’4 and it was anticipated that this would ‘create a market in fees’5. This market did not emerge and in fact, nearly all HEIs set their fees at the maximum allowed rate. We believe that there is significant potential for an analogous situation to emerge in relation to APCs. Rather than creating a market where publishers set APCs at the lowest level that covers their costs sustainably, it is more likely that caps would encourage APCs to be set at the maximum allowed level even if this is substantially higher than the publisher’s costs. Additionally, the cost associated with the publication of an individual article is highly variable dependent on publication venue. The level of editorial activity, including building relationships with, and providing support to, authors, referees and academic editors is a significant contributor to cost but generates substantial value for the research community. The level of selectivity of the journal or platform is also an influencing factor, as more selective publications incur additional costs through assessing articles that do not go on to be published in that venue. While we recognize and support the need to change the measure of selectivity from one focused on journal impact factors, we believe that the ability to differentiate levels of selectivity based on appropriate and meaningful criteria should continue, where selective journals and platforms can demonstrate their value through community engagement and cost transparency. We believe that this will support a thriving research and innovation ecosystem more effectively than moving to a ‘one size fits all’ approach. Are there other mechanisms or requirements funders should consider to foster full and immediate Open Access of research outputs? We believe that diversity and equality of opportunity, including for new entrants to the market, should be retained and encouraged to ensure to a thriving and diverse research and innovation ecosystem. Referring to part (B) of our answer to Question 1, we encourage cOalition S to consider this opportunity to move from ‘big deal’-style arrangements as rapidly as possible to avoid further consolidation around the largest players in the market. Focusing on regulation of existing business models, both transformative agreements and APCs, may have the unintended consequence of creating barriers to the diversification in the market. We applaud the the support indicated in the implementation guidance for ‘a diversity of models and non-APC based outlets’ and encourage cOalition S to ensure equal emphasis on the development of new business models, alongside consideration of established approaches. We believe this is vital in order to maintain choice for researchers. The post Is it possible to decolonize the Commons? An interview with Jane Anderson of Local Contexts appeared first on Creative Commons. The Cleveland Museum of Art is one of the most visited art museums in the world, and soon it will become one of the most important online collections as well. Today, we are announcing a release of 30,000 high quality, free and open digital images from the museum’s collection under CC0 and available via their API. CC0 allows anyone to use, re-use, and remix a work without restriction. In line with the museum’s mission to work “for the benefit of all people in the Digital Age,” the Cleveland Museum is leading the charge for comprehensive metadata and open access policy. The museum sees its role as not only providing access, but also creating sincere partnerships that increase utility and relevance in our time. Creative Commons CEO Ryan Merkley joined museum director William M. Griswold and Chief Digital and Information Officer Jane Alexander at the CMA to announce this release. “I hope this model of working closely together with visionary organizations will be one that we can replicate with other museums, and that this will become the new standard by which institutions share and engage with the public online,” he said. The museum’s leadership echoed the sentiment. “Open Access with Creative Commons will provide countless new opportunities to engage with works of art in our collection. With this move, we have transformed not only access to the CMA’s collection, but also its usability—inside as well as outside the walls of our museum,” said Griswold. The newly released images and their associated metadata can also be viewed on CC Search, the Creative Commons image portal that provides access to millions of CC Images from 21 providers. This portal is currently in development and growing, and the Cleveland Museum of Art’s images provide another access point for billions of learners around the world to experience and enjoy cultural heritage. In this release, the CMA joins other institutions that have made the choice to share, including the Metropolitan Museum of Art and the Art Institute of Chicago. Highlights from the Cleveland Museum of Art’s collection include Claude Monet’s “Water Lilies (Agapanthus)”, William Merritt Chase’s “Portrait of Dora Wheeler,” Albrecht Dürer’s “The Four Horsemen, from the Apocalypse”, and many important works of Indian, African, and Asian art. Our profound thanks to the staff of the CMA for making this partnership possible. This release was due to their hard work and leadership, and we look forward to continued partnership with this important cultural institution. Watch our social media and Slack for collection highlights and more information, and experience the collection yourself at CC Search. The post CC0 at the Cleveland Museum of Art: 30,000 high quality digital images now available appeared first on Creative Commons. Other GOSH images and credits can be found here. Illustrations from the GOSH Roadmap can be found here. Image credit: Nuñez et al (2017), licensed under CC-BY 4.0. Caption: Bacteria and cell-free protein expression systems generating fluorescent proteins and imaged using the FluoPi. Caption: Open source, 3D-printed microscope stage imaging onion cells on a Raspberry Pi camera. The stepper motors enable focusing and moving of the sample stage. Caption: Members of Public Lab balloon mapping oil spills and water pollution with open source kits. 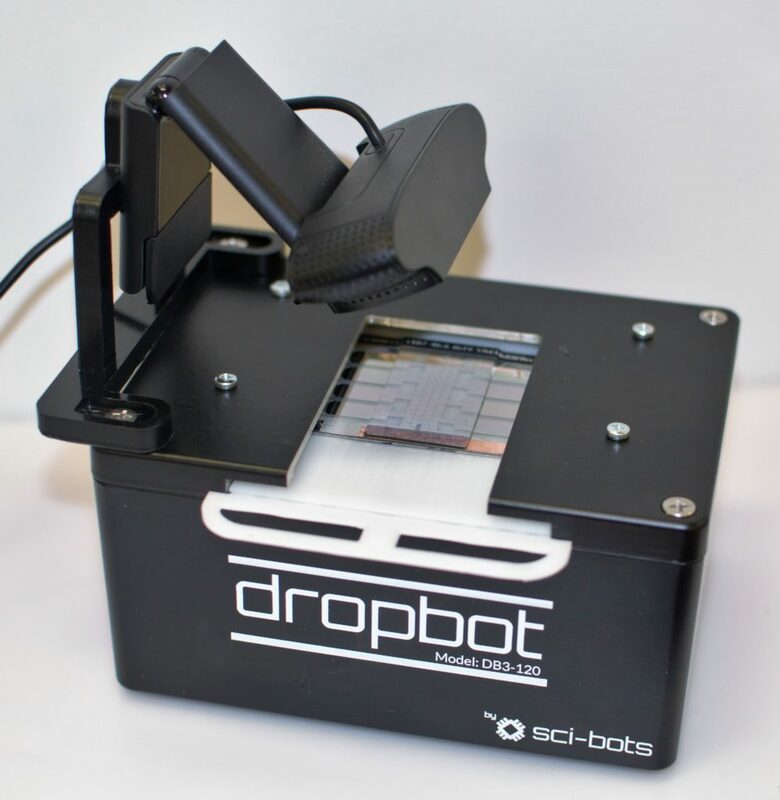 Caption: Open hardware digital microfluidics system made by Sci-Bots. January 14-18, 2019 is #CopyrightWeek, and today’s theme is Public Domain and Creativity, which aims to explore how copyright policy should encourage creativity, not hamper it. Excessive copyright terms inhibit our ability to comment, criticize, and rework our common culture. On January 1, tens of thousands of books, films, visual art, sheet music, plays, and other works passed into the Public Domain in the United States for the first time in twenty years. It’s time to celebrate! Join us for a grand reopening party in San Francisco on Friday, January 25 from 10AM-7PM. Co-hosted with the Internet Archive, this celebration will feature keynote addresses by Lawrence Lessig and Cory Doctorow, lightning talks, demos, multimedia displays and more to mark the “re-opening” of the public domain in the United States. The event will take place at the Internet Archive. In preparation for this event, we asked a few Creative Commons community members to provide reflections on some of their favorite works that have entered the Public Domain this year! I spent a lot of time in my late teens and early twenties feeling lost and alone and confused (as so many of us do). I often looked for solace in books, and it was at a used bookstore in Boston that I found The Prophet by Kahlil Gibran. I had never heard of it before, but I took it home on a whim and read it over and over and over again, finding human connection and comfort in the words of this long-dead Lebanese-American poet. I have treasured my dog-eared copy of that book for many years. Now that it’s in the public domain, I’m excited to have the opportunity to give the work new life and new meaning now that I can legally use, remix, and share these words that meant so much to me. Man Ray’s Object to be Destroyed (1923) — later destroyed and remade as Lost Object (accidentally printed/labeled Last Object) and, even later, as Indestructible Object — combines a metronome, an object that marks consistent time for musicians, with a photograph of an eye affixed to its ticking arm. Man Ray would set the piece going when he painted — a rhythm, an audience; keeping time, keeping watch. What does it mean for an art object — a destroyed art object, at that — to enter the public domain? What, now, belongs to the public? Can I recreate it? What if I accidentally (intentionally?) recreate a later iteration? Shall we the public gleefully apply the name Object to Be Destroyed to any number of our creations, which we will subsequently destroy and remake? You may destroy the metronome and the staring eye, but you cannot stop the ticking arm of time. Welcome to the public domain, Object to be Destroyed! I saw an amazing production of George Bernard Shaw’s Saint Joan by NYC-based theatre company Bedlam in Cambridge about four years ago. They had four actors portray all the roles, with one woman playing Joan and three men covering everyone else. Seeing the story this way emphasized Joan’s power but also her humanity, and made her the true emotional center around which the inventive production whirled. I’m so excited that this play has now entered the public domain, because it’s the story of a woman clinging to her convictions and speaking her truth boldly even as the male power structures vilify her for it. It doesn’t take more than a quick scroll through Twitter or glance at Fox News to see the contemporary resonances. I can’t wait to see how inventive artists legally remix and riff off of this text in the coming years. In college I used to go to a long-defunct bar in Greenwich Village for a variety show curated by the old-time musician Eli Smith. (Himself a great interpreter of works in the public domain.) One night, a mostly xylophone band called the “Xylopholks” took the stage and performed “Yes, We have no Bananas!” while attired in banana costumes. Needless to say, they brought the house down. Some day, I hope to recreate this special moment, but until then, I have to enjoy the fact that I can legally use, remix, and reproduce this fabulous tune. The post We’re gonna party like it’s 1923 appeared first on Creative Commons. Majd Al-shihabi, the inaugural Bassel Khartabil Free Culture Fellow, is a Palestinian-Syrian systems design engineer focusing on the role of technology in urban systems and policy design. He is passionate about development, access to knowledge, user centered design, and the internet, and experiments with implementing tools and infrastructures that catalyze social change. He studied engineering at the University of Waterloo, in Canada, and urban planning at the American University of Beirut, in Lebanon. The following is a conversation between Christine Prefontaine and Majd Al-shihabi, reflecting on his work and experiences as a Bassel Khartabil Free Culture Fellow. The Bassel Khartabil Free Culture Fellowship awards $50,000 + support to an outstanding individual developing open culture in their communities. This unique and life-changing fellowship promotes the values important to Bassel’s work and life: open culture, radical sharing, free knowledge, remix, collaboration, courage, optimism, and humanity. The Fellowship supported Majd Al-shihabi, the inaugural recipient, on two projects: Building an open source platform for oral history archives, to be used by the Syrian Oral History Archive, and digitizing, releasing, and improving the accessibility of previously forgotten 1940s British Mandate-era public domain maps of Palestine. The common thread: Preserving memory based on openness and collaboration and advancing visions for re-building and moving Palestinian and Syrian societies towards an open, fair, and free future. Can we start with a basic overview of your work and then maybe dig into the fellowship projects that you’re working on? I’ve been loosely involved with the open community for a long time. When I was studying in Canada at the University of Waterloo, the pressure of school limited my involvement. As soon as I finished I was like, oh, finally I can do the things that I actually am interested in doing. So, slowly that’s how I got involved with the a few open communities locally. Throughout my studies I’ve mostly worked as a developer so I’ve been using a lot of open source software. That helped me improve my understanding of the open source community. It is not just about the code of the open source software, but also about how community dynamics in its community work, who can contribute, who doesn’t, and so on. So that has been the formation that has guided my work so far. When I moved to Lebanon, I moved specifically to work with a project called the Arab Digital Expression Foundation youth camp. ADEF is the organization. This camp is at 10-day camp in the summer for people 18 and up. We had some participants that were 19 and 63 years old. It’s about the intersection of art, technology and politics, especially in this region, especially about the production of knowledge and content in the Arabic language. That was the entry point for me in the Arab open source community — because the camp was very explicit about using open technologies and using open approaches to knowledge production and media production. That was the first time when I was like, I’m producing something that can benefit my community in a very explicit way. I curated that camp, and then I stayed here and I was like, we have a lot work on openness in this community in Lebanon so let’s start with this. So I worked on a few smaller projects related to mapping. We worked on the Beirut Evictions Monitor, where we ran workshops to map housing evictions in Beirut because it has been undergoing a lot of pressure on real estate and housing — to think about how to map it and publish what is appropriate of that data. Working on those projects were the first steps. I started thinking about how to activate the community around the mapping and issues of mapping. Because, for example, there is no one authoritative map of Beirut that you can get, especially of buildings of Beirut. On OpenStreetMap there are areas where some active mapper lives, so you can find all of the buildings in their neighborhood. But they’re drawn from satellite imagery so they’re not very accurate. But there’s no comprehensive map of Beirut. I’m trying to think about how can we use OpenStreetMap to engage the community in mapping efforts to make sure that their communities are on the map — literally — and connecting that with other sources of data, so that organizations like like the Beirut Evictions Monitor can use it. The next step was when my collaborator Ahmad Barclay found the historic maps of Palestine, from just before the ethnic cleansing of Palestine, in the archives. We were like, we can use those maps. They’re really precious. As Palestinians, most of us have not seen what our villages look like. Before I saw those maps, I only knew of one surviving photo of my village and now I have a more textured view. We got really excited by the potential of those maps and we said, what can we do with them? That’s where the Palestine Open Maps project started. Visualizing Palestine hosted a lab with Columbia Studio X in Amman where we developed a prototype, which we carried on to what you see now on the platform. At the same time, I was also interested in oral history archives. One of my main collaborators and friends has worked on the Palestine Oral History Archive at the American University of Beirut. She has also been a consultant for a few oral history projects and did an assessment of the Syrian Oral History Archive. Often what happens with those archives is that everyone gets really excited about collecting and then they have like 500 hours of recordings and they don’t know what to do with them. So she did that assessment. Then she was like, you guys need to think more explicitly about what to do with this collection and how to archive it. She said, you should not use Omeka as your only solution. And think about a more refined way of addressing the special needs of an oral history archive. Those two projects were in the background of my mind when the fellowship was announced and I was like, this sounds like the right place to get sustainability while I work on these projects that are really exciting to me. Also, those two projects are very closely linked and both have great potential. For example, if you think about Palestine Open Maps and the Palestinian Oral History Archives — specifically the use of them after they’ve been archived — can you use the maps as a way to spatially navigate an oral history archive? One of my plans is to make that link between the two. To me they’re related in the long term. The Palestine Open Maps Project has five different archival map sets that show Palestine before it was ethnically cleansed. We’ve been trying to combine those with census data sets and the locality name data sets. And now you can view it on PalOpenMaps.org. That was what I presented at MozFest. That’s the project that I’ve been working on for the first part of my fellowship. For the second part, I’ll focus more on building the oral history platform. We ran a few design workshops with the Syrian Oral History Archive to extract a workflow from the practices of the archivists. The idea was to enhance the workflow and make it applicable to all oral history archivists, but at the same time to make it as tailored as possible to oral history archiving. It’s a delicate balance that we had to hit. Then I did a few sessions with Palestine Oral History Archive and also talked with the Knowledge Workshop, here in Beirut, as potential users of the platform. Now we have a community that’s excited about finally having a way to archive and publish their collections. From the outcome of the workshops, I started to build a user interface with a company called Calibro that does user interface design. The interface addresses each one of the phases of the archival process. And that’s where I am right now. I just started experimenting with a little bit of code in the past few days, but the majority of the code will be written between now and the end of my fellowship. Hearing about the mapping project, what stuck out for me was the ability to anchor a story physically in a place. It’s one thing to hear it, but it’s another thing to have the opportunity to go to a place — physically or digitally. It grounds the story. Literally. It’s profound. My grandmother is still alive and she was born in Palestine. She was one of the people that was ethnically cleansed during the Nakba and she hasn’t been back since. She was 11 years old when it happened so she remembers what it was like. I grew up listening to her talking about our house in Palestine and I know that the village doesn’t exist anymore. It’s been completely destroyed and in its place there’s a forest, a South African memorial forest, a European pine forest. She can name a few places but because they don’t exist anymore you don’t know what those places are. Because she was only 11 years old she doesn’t have that grasp on geography. But when I got the maps I looked them up. Last summer I was visiting my family — they live in Kitchener/Waterloo, close to Toronto. My grandma was there and I was asking her, Teta, can you describe your house to me again? So she started describing and she was like, oh, it’s on top of the hill called El Khirba. And I looked at the map and there it was: El Khirba. It was labeled on that map. Then she was like, if you look from our house qibli (in the direction of Mecca, south) you would see Esh Shajara, the other village, and sure enough it’s on the map. If you go there right now wouldn’t see it but on the map it’s right there. It’s directly south. She would describe all of those landmarks and those features and, sure enough, they’re on their map. To me, it’s extremely profound. Finally I know what my grandma’s talking about. Even if I can’t access it today, at least there’s this physical remnant that has been left to us. It’s particularly interesting if you’re thinking about archives. I learned this because I’m more of a technical person so I’m not as well-versed in the terminology of the philosophy of archives. But my collaborator, Hana Sleima [see also: Constructing a Palestinian Oral History Archive], taught me this term: “reading against the archival grain”. Those maps were made by colonizers. During the British Mandate, they went in and decided that now the land of Palestine is theirs and they are going to map it. They made highly detailed maps and now, as the victims of that colonization, we Palestinians can read those maps with a purpose that’s completely different from the purpose that they were intended for by the colonizers. We’re reading those maps in a way that is not in alignment with their original purpose. This is common among people of the South when they’re reading their archives, especially in colonial archives. That’s one of the really powerful things that we’re enabling through this project: You can understand your own history and you can have a different understanding of your own history by taking a critical look at the archives. Can you hone in on a moment where you felt a sense of success with this project? Both projects are a work in progress, but the biggest sense of success that I have is when I demo those project to people. Especially the Palestine Open Maps project — when I demo it, especially people who are descendants of Palestinian refugees and I ask them, what’s the name of your grandparents village? All of them know the name but they don’t know where it is geographically. It could be in the north, it could be in the south, they don’t know. I take my phone and I show them, this is what it was like. People are kind of shocked and taken aback. They spend a surprisingly long time just navigating their map, zooming into details like, you can see where the school was. I was looking for another map and it had a museum there. It’s a small village that has a museum — why? There are all of these nuances about our lives as Palestinians that have been systematically erased that we can actually extract again out of these maps and reconstruct. One of my goals is to combine this archive of the maps with another archive — the Palestine Oral History Archive — because they have a collection of interviews with people who knew Palestine before the Nakba. Whenever a place is mentioned in those narratives and those interviews, can we have it pinpointed on the map? And then can you hear the story about that place? People get so excited about this and that, in turn, excites me. I think that’s the biggest success of this project: Using the power of technology, turning this abstract concept of Palestine that we’ve been told about as children — this is your homeland and this is the place where you belong — turning that into something that’s really tangible. As I’m listening to you, there was a connection that came up in my head. Dave Isay, the person who started StoryCorps has a TED Talk where he describes documenting people’s stories — and sharing them back. When he did that, one of the participants grabbed the printed story and started screaming, “I exist! I exist!” [See minute 2:10] For me, this connects to both the mapping and the oral history. When you do your demo and someone says, this was the name of the place. And you show them: Here it is! It’s not just in your head. The place exists and your story exists. Totally. I hesitate to talk about this because it always brings weird critiques. But, the central premise of the creation of Israel is that this is a land without a people for people without a land. But if you look at those maps it just shows so clearly that there were people in that place. If you positioned this project in an intellectual history of the Palestinian struggle, to me it’s a descendant of a project called The Atlas of Palestine by Salman Abu Sitta. The book is in two parts. One is the atlas which compiles the paper maps of Palestine and records about localities and census and so on. It’s a paper book that’s really thick and huge and heavy. And the other component of that book is called The Return Journey. It proposes that the land of the historic Mandate Palestine, between the Jordan River and the sea, can fit everyone. It can fit the four and a half million Jews who live in that land right now, and all of the Palestinian refugees that have been ethnically cleansed. There’s no need for anyone to have to be forced to leave. We can all live there in a democratic state where everyone is an equal citizen. This project is a small step towards furthering that goal. All of us are equal human beings and we should have equal rights to live in the lands where we belong. [laughing] It gets really heavy whenever you’re talking about Palestine! That is a beautiful and admirable sentiment. Thinking again about these projects, can you hone in on a moment where you faced a challenge or a struggle? On the Palestine Open Maps project, even something as simple as getting those maps was a struggle. We kept reading references to those maps in various books about Palestine, but we never actually saw them. We’d see small scans of a single village but we’d never get the access to the whole map. Then eventually, ironically enough, we found them in the Israeli National Library Archives. They’re all scanned at very high resolutions, which is perfect for us. But if you go to the website, the content management system that they use doesn’t give you the entire image. You can’t just download the entire image. If you right-click on it, it gives you a smaller section. Also: You can’t access .il Israeli domain names from Lebanon because the two countries are at war. So we have to circumvent that and use Dropbox to download all of the files, and write a script that takes every tile, stitches them together, and saves them back to Dropbox. It was a very elaborate process technically to circumvent all of those restrictions — whether they’re technical or political — and get those maps. So that’s one thing. And then in the Arab world, there’s a lot of technical people, but the good geeks — the nerds that we rely on to build our tools — everyone just leaves and goes to Europe or North America. There is a huge brain drain and when you want to start building a platform like this one, especially when we first started — before I got the fellowship that’s helping me build the platform now — I didn’t have much time to develop it. The project has so much potential, and it gets people excited so much, but we don’t have the technical capacity to take it to the next step because it’s just me and a couple of other people very-part time right now. Everyone else who can help is in a different country and is unable to help on this. Then, one of the scary things for me is that I don’t want this project to die after my fellowship is over. It’s always so difficult to fund anything that’s related to Palestine. In terms of sustainability and in terms of funding, I’m kind of scared of not being able to find funding for it over the long-term. Also, if we talk about the Oral History Archives, there is the question of finding developers to help me out because I’m going to be doing it all by myself. Finding developers to help me out will be difficult. I found someone from Mozilla who was willing to do code reviews for me, which is awesome. But I envisioned this as an open source project that is sustainable over the long term. The front-end framework that I’m using just announced plans to make another major release which breaks backwards compatibility in mid-2019, which is around the time that the platform is going to be released. That means that immediately — as soon as it’s released — the next version of the front-end framework that we’re using is going to be outdated, which breaks backward compatibility. So we’ll need to work on an update. All of this means that the only way to make this project sustainable is to turn it into an open source project that has a lot of different institutions invested in it so that we can have a front-end developer and a back-end developer who can spend one or two days a week making sure that it’s running smoothly. A big challenge for me is figuring out how can we activate an open source community around this project — specifically in this region. We need to consolidate the power of the open community so that our projects become more sustainable over the long term, both technically and financially. What kind of funder support would help you take your work to the next level? We can split that for the two different projects. For the Palestine Open Maps Project, the project is not about the maps themselves, it’s about the story that they tell. How can we build storytelling tools based on those maps that reveal the nuance of Palestinian life over the long term? To do that, you need a team of three people: a user experience designer, a front-end developer, and maybe a researcher who could extract all of the narratives. At least three people, maybe more. So we would need funding for that team to sit down together and collaborate — let’s say for a year — and make this project reach its full potential. The cool thing about this project is that it’s providing the raw data, a base that other projects can build on. In the current phase of the Palestine Open Maps Project, we’re vectorizing all of the map data. You can already download all of the data and it’s all licensed as CC0 — no rights reserved. One of my major inspirations is the New York Public Library’s NYC Space/Time Directory, which digitized maps of New York that were made by fire insurance companies. One of my favorite geographers and cartographers, her name is Leah Meisterlin, has done amazing work on cross-referencing different data sets with the fire insurance maps data set. So, after it was vectorized by the Space/Time team, she overlaid that data with other data and she came up with this really nuanced vision of what New York looked like in the 1800s. Where the rich people lived, where the poor people lived, as well as the class distribution. It’s so fascinating! This place where we walk right now, it used to be inhabited by people and this is what the character of this neighborhood looked like 100 years ago, 150 years ago. If I can do the same thing with Palestine Open Maps for Palestine, that would be an amazing thing for me. One of the major goals for the oral history archival tool is that we wanted to point out all of the epistemological decisions and ontological decisions that an archivist has to make when they’re creating an archive. So something as basic as do you do transcription or do you do segmentation? It’s a big question mark because there are schools of people who are very strict adherents of one way or another of doing oral history archiving. There are advantages and disadvantages to both and there is no correct answer. Hana and I tried to incorporate those decisions in the platform. How do segmentation and transcription differ, for those of us who are not familiar? Transcription is when you take every single word and you write it down. With segmentation, the goal is to preserve the orality of an oral history testimony. So if you transcribe, you can read the text and you know the content, but you lost the orality — the tone, the nuance of the language, the intonation, and so on. But it’s really good for searching. You can just search for a keyword, then you find all its appearances in the text. With segmentation you say, okay, from this second [timestamp] in the interview the person was introducing themselves and explaining where they’re from. And then from this second to this second they’re talking about the chemical attacks in Ghouta, for example. You have keywords and subject headings for each one of those segments. You don’t have a word-for-word transcript, but what you do have is an index of the content of that segment. You can still search it, but you are forced to listen to it so that you can get the texture of the sounds. So segmentation is like a metadata approach? Totally. I think that this platform is really useful in pointing out the decisions that an archivist has to make. We’re trying to create a guide that accompanies the use of the platform so it’s not just stand-alone software, it sits in the context of this debate in the oral history community. How can it be sustainable on both fronts: in continuing the conversation on an intellectual level of how to archive an oral history collection, and how can we make sure that the actual code is sustainable? Hana Sleiman is my collaborator on the MASRAD: Platform for the Syrian Oral History Archive project [website will be live soon!]. Ahmad Barclay and Hanan Yazigi are my main collaborators on the Palestine Open Maps project. With two other people we’re starting to think about how to create a collective that embraces those two projects plus our other projects around knowledge production and knowledge dissemination, especially in the Arabic language but generally around this region. I see MASRAD, which is the name of the collective that we’re trying to create, as a sustainable vehicle for the Syrian Oral History Archive project — but it’s not the ultimate answer. Beyond the money, what would you say that the Bassel Khartabil Free Culture Fellowship contributed to your work? The first thing that I should say is that I recognize the importance of our people to us. Bassel Khartabil, who my fellowship is named after, I was not around when he was around. I was studying in Canada. But I knew of him and everyone I’ve talked to in our community right now has had some interaction with him. His legacy is still there. If there’s one thing that this fellowship has given me, it’s access to that network of people who have similar beliefs, who have been touched by the same values that Bassel was striving towards. Access to all of the people in his community. I’m afraid of idealizing him. Of course he was an amazing guy, but he’s not a perfect guy. He was a very active member in our community, and if you want to kill a movement, you kill its leaders. That’s what happened to the Palestinian movement in the eighties — there was a series of assassinations of Palestinian leaders all over Europe by the Mossad. Car bombs and poisonings and so on. This is what happened when we lost someone like Bassel. What this fellowship has given me is access to that network and a chance to connect people and disparate projects together with the weight of the three big organizations that are sponsoring this fellowship: Mozilla, Creative Commons, and WikiMedia. When I went to MozFest I was meeting my people! Especially Jon Phillips and Mahmoud Wardeh— he’s “@lurnid” on the internet. We had this really beautiful moment of connecting over Palestinian-ness and our desire to push for openness and for that connection in our community. It’s those beautiful human interactions that the community has given us. The movement you were talking about, how would you describe it? What is that legacy? It has a couple of aspects to it. One is the bigger umbrella that is the struggle for democracy in our region. In 2011 we were so hopeful. I can’t even tell you the level of hopefulness that was engulfing the entire region. I was living in Italy when Mubarak stepped down and I could feel it from there. Then that quickly collapsed over the next few years. But we still believe, regardless, that the tool to accomplish our goal, which is having democratic representation of ourselves, is openness, with all of its permutations. Whether we’re talking about open source, having access to the inner workings of the tools that we are using, or whether we’re talking about open institutions, having access to archives of the state and having access to data that’s being produced by the state. There’s an idiom in English: sunlight is the best disinfectant. So the more open that we are, the more capable we are at disinfecting our region from the corruption that is very deeply situated in it. That’s the legacy: How can we use the tools of openness to extend our goals of democracy and participation and representation? Those are all the questions I have for you, but is there anything more you want to tell me? This is a lot more emotional than I thought it was going to be! I feel you on the emotional bit! These are challenging and profound issues that go beyond one people. Your vision for what you want to achieve and your values touch everybody. What you’re discussing is very profound for everyone. As you were talking about how there’s space for everyone, I had a vision of being able to use those stories that are grounded in specific places to enter into dialogue with the people who now live there. Sharing stories can be the beginning of a truth and reconciliation process. They help people to listen to each other, make space for each other, and go forward. One of the things that happened at MozFest, I was doing the demo at the science fair and three things stood out for me. One of the things that’s really cool at MozFest is that there was a lot of ethnic diversity. It was just not Europeans and North Americans. It was everyone and that was really cool. Among those people who came were lot of South Asians. Personally, I feel a lot of solidarity with South Asian people because we’ve both been colonized by the United Kingdom. One of the lines that I had in my demo is, the British loved making maps. And there’s always this mutual look of recognition whenever there is a South Asian person in the crowd that I’m demo-ing to. They smile and I can catch it and there’s this moment of solidarity between us. There’s mutual understanding even if we don’t have to explicitly say it. Only two people had a negative reaction to the project and one was this young woman. I’m happy for people to ask questions and learn from my experience, but she was asking them in a very aggressive way. Questions like, “Is it normal for people to be ethnically cleansed during a war?” It’s not normal. Even if it was normal, it shouldn’t happen! Then she was asking me all of these basic questions that showed she didn’t actually know anything about the conflict. And as she was asking me all of these questions there was this other guy who immediately identified himself as an Israeli and he kept saying things like that were denying my Palestinian-ness. Like, “Why do you call yourself a Palestinian refugee? You don’t count as a Palestinian refugee.” I said, “I have the goal of keeping your right of return to what you consider your Jewish homeland. I want to keep that. In return, give me my right of return as well. Your right of return is 2000 years old. My right to return is 70 years old. This desire to return is a mutual feeling between us and you should be as understanding of it and of me as I am of you.” That was what I was trying to convey to him, but he was very rooted in his denial of this. I wonder if this project, if it combines with oral history, if it combines with other programs that add nuance and texture to Palestinian life, can stand in opposition to narratives that just say “Palestinians want to kill us and throw us in the sea.” If we can use all of these tools to enhance the image that Israeli Jews have of of Palestinians then maybe we can reach a solution before it’s too late. The first step of hate speech is to dehumanize and I see your work as infusing that humanity back in by replacing the texture — by replacing the depth from mundane observations like, “From my village here, I could see that village there.” It’s memory, it’s not political. And it creates the opportunity for a bridge. Thank you. Thank you for being a great listener. Photo of Majd above copyright by Cynthia Kreichati, used under a Creative Commons Attribution license. The post Openness, Mapping, Democracy, and Reclaiming Narrative: Majd Al-shihabi in conversation appeared first on Creative Commons. How can we build a Global Network at scale, empower members and communities to lead, and drive a new era of growth and opportunity for Creative Commons and its community? CC has been engaged with this question over the past few years as we rebuild our Global Network to work better together. Today, we’re celebrating 306 individual members and 42 institutional members! Membership is distributed across 68 countries, and 31 chapters – a truly global movement for the Commons. Structured membership has been the key to the network’s growth. With a network site and robust vouching system, our members are self-organizing in platforms, committees, and chapters with clear, inclusive pathways for contribution. Whether you’re a CC Newbie or a seasoned Commoner, you’re invited to join the platform of your choice to connect, build, and grow. Want to jumpstart your involvement? Register for the CC Summit today and meet community members from around the world. The post Building CC’s Network at scale for a new era of growth and opportunity appeared first on Creative Commons. After a careful search and much consideration, we are excited to share with our community five new appointments we’ve made to the PLOS Board. This is a pivotal time for PLOS, and as you’ll see, each member will bring us a different perspective, which will enable us to expand the ways in which we serve our scientific communities. Our new Board Chair is Alastair Adam, currently CEO of innovative digital textbook publisher, FlatWorld, who brings to the role not only a strong understanding of publishing – including scientific journals – but also his business savvy and strategic skills. Alastair joined the Board effective November 1 and assumed the Chair role on January 1, 2019, replacing our longtime Board Chair, Gary Ward (more on Gary a little later). We also added Dr. Simine Vazire, who is currently a Professor in the Department of Psychology at UC Davis where her research focuses on one of the oldest and most fundamental questions in psychology: how do we know ourselves? In 2017, she was awarded a Leamer-Rosenthal Prize for Open Social Science in recognition of her efforts to advance reproducibility, openness and credibility in the social sciences. She held a previous role as a senior editor of Collabra: Psychology and Editor-in-Chief of Social Psychological and Personality Science. Her scientific and editorial expertise bring a well-rounded and diverse perspective to our Board, and will help to ensure that working scientists retain a strong voice on our Board. Dr. Victoria Coleman joined the Board in May 2018. She is currently the Chief Technology Officer at the Wikimedia Foundation where she sets the organization’s technical roadmap for the evolution, development, and delivery of core platforms and architecture. Victoria brings valuable technology experience to the Board at a time when PLOS, like many mid-size publishers, faces important and difficult choices about its technology infrastructure. Victoria serves in several advisory roles including the Board of the Santa Clara University Department of Computer Engineering and as Senior Advisor to the Director of the University of California Berkeley’s Center for Information Technology Research in the Interest of Society. We also wanted to ensure that we maintain deep experience in PLOS’ core biomedical science fields, and we are very lucky to have Professor Keith Yamamoto of UCSF agree to join us (effective February 1, 2019). Keith is both a highly regarded scientist running his own research lab and has extraordinary experience in the policy arena focusing much of his career on science practice, education, communication, and advocacy including strong and early support for OA. He currently serves as UCSF’s first vice chancellor for Science Policy and Strategy. Last but by no means least, Suresh Bhat joined us on November 1, 2018 as incoming Chair of the Finance Committee. Suresh brings to PLOS not only deep financial knowledge but also experience at a top research university and a passion for education. Suresh has headed finance programs for a number of financial institutions. He is currently CFO and Treasurer at the Hewlett Foundation, prior to that, he was CFO at the Haas School of Business at UC Berkeley (and is a Haas and Cal alum). I would be remiss if I did not take the opportunity here to express my heartfelt thanks to both Gary Ward, our now former Board Chair, and Mike Eisen, one of the co-founders of PLOS, both of whom left the Board in 2018. In his seven years as Board Chair, Gary has led the Board with passion, wisdom and integrity, and has been both counsel and friend to many of us in the organization. Mike is of course irreplaceable in every way. His vision, zeal and dedication are a big reason that PLOS not only exists but has had such a deep impact on scientific communication. I have no doubt that Mike will continue to be one of PLOS’ greatest advocates (and yes, let us know when we get it wrong – as good friends do!). While goodbyes are never easy, we are excited to embark on this new chapter for PLOS with the fresh wisdom of so many exceptional, dedicated individuals. Please join us in welcoming our new Board members! Guest post by Ioanna Tzagaraki from the University of Cyprus. All six of the Creative Commons licenses v4.0 are now available in Greek as a result of the joint and volunteer effort of the University of Cyprus, the Pedagogical Institute of Cyprus, and the legal firm Ioannides Demetriou LLC. The multi-year process began when the first draft translation of the Creative Commons license into Greek was submitted to CC HQ in 2016. Maria Spurou, Attorney at Law – Legal Consultant, LL.B. University of Cyprus. The finalization of the Creative Commons licenses in Greek was succeeded in cooperation with CC Greece – EELLAK, represented by Alexandros Nousias. With the Greek translation now published, Creative Commons Cyprus will continue communicating the Creative Commons licenses to local creators, users, and cultural institutions. To this end, the University of Cyprus, in coordination with the Pedagogical Institute of Cyprus, has already organized a series of conferences, seminars, and workshops in order to reinforce the message of “some rights reserved” and open access in Cyprus. The post CC’s 4.0 license suite now in Greek appeared first on Creative Commons. We’ve surpassed 1,300 preprint posts to bioRxiv! This is an incredible milestone for us and for all of our authors who chose to opt-in to our preprint service since we announced our partnership with Cold Spring Harbor Laboratory’s bioRxiv six months ago. We wanted to bring an easy preprint-posting option directly to the submission process for our authors and are thoroughly excited with the results we’ve seen so far. As we began this journey, about 4% of our authors reported that they had posted their submission to a preprint server. While this base remains consistent, our preprint-posting service has built upon it to offer authors more choices. In the past six months we’ve seen an additional 14% opt-in to have PLOS post a preprint on their behalf, indicating that 18% of our authors want to use preprints to share their research. Of course, the opt-in rate varies by discipline. On PLOS Computational Biology 46% of our authors choose to make a preprint of their manuscript available, with half of those posting before submission and the other half requesting PLOS post to bioRxiv on their behalf. In biology in general, the adoption is high. PLOS Biology, which joined the service later, is already showing a promising trend towards preprints by 39% of our authors (23% of which elect to have PLOS post on their behalf). Every opt-in we get is screened by editorial staff before posting to ensure the article fits bioRxiv’s scope and that no sensitive information is accidentally shared. We have also taken a conservative approach and avoided posting research that could have an impact on human health before the claims have been peer reviewed, which is why we do not yet offer to post preprints for PLOS Medicine authors. We’re working in partnership with bioRxiv to refine the posting criteria as we learn more about the needs for early sharing in different communities. Overall, the openness to new research outputs we’ve seen among our community of authors is inspiring and we hope to see preprint adoption grow even more over the coming year. We like preprints because they put your research first. We’re making it easier for you to choose preprints as a way to rapidly disseminate your research results, establish priority, accumulate citations for your work, and receive input from your community that may help shape the future of your research. That said, preprints aren’t for everyone or for every paper which is why authors choose when and how their work becomes available. We’re also listening to our community’s feedback to make our service as inclusive as possible. Many of our authors still prefer to wait for peer review before making their results public. However, about a fifth of the authors who responded to a survey about why they had opted out said they are unfamiliar with preprints. We’re hoping to change that by offering everything you need to know at plos.org/preprints. More information about preprints is available on bioRxiv along with their posting guidelines. ASAPbio also offers very useful guidance for preprints, including preprint policy at other journals which may help clarify any concerns you have about submitting a manuscript after you’ve posted a preprint. We’ll continue learning from our community and sharing more information that helps you make the right decision for your paper. We’re also encouraging other preprint options to authors in areas that don’t fall under bioRxiv’s scope. Both PLOS Genetics and PLOS ONE have dedicated Preprint Editors to solicit submissions from various preprint servers and we’re looking at more opportunities. If you’re thinking of posting a preprint for the first time, take advantage of this checklist to get started and review all the benefits preprints could have for your work. On January 1, 2019 in the United States, tens of thousands of new works will join iconic pieces such as Katsushika Hokusai’s Under the Wave off Kanagawa as a part of the public domain. Save the date! Please join us on January 25, 2019 for a grand day of celebrating the public domain. Co-hosted by Creative Commons and the Internet Archive, this celebration will feature a keynote address by Lawrence Lessig, lightning talks, demos, multimedia displays and more to mark the “re-opening” of the public domain in the United States. The event will take place at the Internet Archive in San Francisco, and is free and open to the public. RSVP now before the tickets run out. Join creative, legal, library, advocacy communities to celebrate the public domain growing again for the first time in decades, and come network with an amazing lineup of people and organizations who will help us welcome this new class of public domain works. Presenters include Larry Lessig, academic, political activist, and founder of Creative Commons, Corynne McSherry, legal director of the Electronic Frontier Foundation, Cory Doctorow, science fiction author and co-editor of Boing Boing, Pam Samuelson, copyright scholar, Ryan Merkley, CEO of Creative Commons, Jamie Boyle, the man who literally wrote the book on the public domain, and many others. a live concert synthesizing data and art, both original and public domain materials, in tribute to the depth and high stakes of free speech and creative expression involved in our daily use of media. Attendees of our Grand Re-Opening of the Public Domain event can get discounted tickets here. If you can’t make the daytime event, separate tickets for Quantopia are available here. The post Join us for A Grand Re-Opening of the Public Domain appeared first on Creative Commons. I’m very excited to announce a new addition to the Creative Commons team. Please join me in welcoming Kriti Godey, who will be taking on the role of CC’s Director of Engineering. Kriti shipped her first website when she was ten years old and has been coding ever since. Prior to joining CC, she focused on leading happy and productive distributed engineering teams at startups, and has enjoyed architecting and building both consumer-facing and enterprise software. She is a firm believer in the value of remix culture and free software and is excited to expand its reach and accessibility through her work at CC. Kriti grew up in southern India and moved to the U.S. to attend Oberlin College, where she majored in computer science and mathematics. She is now a proud American citizen, and lives in Oberlin with her husband and 13 overflowing bookcases. I also want to thank the departing Paola Villarreal for her work as CC’s first Director of Product Engineering. It’s been my great pleasure to work with her, and I’m incredibly proud of all she has done in the position, and grateful for the team she’s helped build. CC will miss you, Paola, and we wish you great success in your new role. The post Welcome Kriti Godey, CC’s new Director of Engineering appeared first on Creative Commons. Background: The CC Certificate provides an-in depth study of Creative Commons licenses and open practices, developing participants’ open licensing proficiency and understanding of the broader context for open advocacy. The course content targets copyright law, CC legal tools, values and recommended practices of working in a global commons. The CC Certificate is a 10-week online course for educators and academic librarians. 2018 was a big year for the Creative Commons Certificate program! We beta-tested the first two CC Certificate courses for educators and academic librarians, updated our course content, licensed it CC BY, and shared it with the world; we launched nine official courses for 225 participants, and have since iterated on almost every aspect of the Certificate based on feedback from the global community. As we approach 2019, we are taking stock of 2018’s learnings and now proudly announce updates for the new year. 1) We’re updating our pricing. Why? First, because this program has to be sustainable – our new price will ensure we cover 100% of CC’s cost of delivery, including paying all community instructors who teach, technology and content maintenance, and program expansion and updates, including reaching new audiences and new languages. CC is a non-profit, and we want this program to thrive. Second, from our initial launch, we knew that there would be some who couldn’t afford to pay full price for the program. As promised, we are creating a scholarship program so the Certificate can be more inclusive of colleagues with less ability to pay, especially CC’s vibrant communities in the Global South. Our new price allows us to build and replenish an annual scholarship fund, offering subsidized CC Certificates to as many participants as possible. Those who pay full price for the course subsidize those who are less able to do so. We will offer at least 15 scholarships in 2019, and hope to provide more as the program grows. In 2019 and in years to come we will continue to make the CC Certificate both self-sufficient and financially accessible for our global audience. 2) There is more community demand for the Certificate training than CC can currently accommodate. To address this, we have built and will beta-test a CC Certificate Facilitator Training starting in January 2019. Ensuring there are more well-trained and knowledgeable facilitators will allow us offer more CC Certificate courses in the future. Developing a scholarship program to support community members’ enrollment, particularly community members from the Global South (as mentioned above). Supporting translations of Certificate content. Community members have already volunteered to translate the Certificate in multiple languages, from Bahasa to Italian to Arabic. We will support translations in a responsible way, ensuring languages are aligned with course developments and annual updates. Developing more local case studies about copyright law and open licensing in different countries. Thanks to participants’ help, we have several case studies drafted. Launching in-person Certificate trainings, or “bootcamps” specialized for select groups that need CC Certification in a short time-frame. Assisting participants with new ways to learn and share with each other, since there is not one platform that works for everyone. For example, we learned a participant in China could only access our epub OER content (available here) rather than content on our main learning platform, Canvas. While we explore new avenues for learning and collaboration, we celebrate the ways participants are already doing this: hosting workshops and conference sessions, developing OER courses, and creating informational flyers for their institutions. Revising the CC Certificate must balance a global, inclusive, and iterative approach with focused, specialized expertise. While we continue to gather participant recommendations and feedback from the global community, we will also launch a CC Certificate Advisory Board of legal and instructional design experts. The Advisory Board will provide input for annual content updates and engage with participants in online course webinars throughout the year. We are proud of the Certificate we’ve built together so far. We accept anyone interested in taking the Certificate course; our costs are as low as possible, while still offering a scholarship program and maintaining quality content and services; and the course is supporting learners beyond the certification program — several other programs are freely remixing portions of our CC BY licensed Certificate OER for their own audiences. We couldn’t have done it without the contributions of dozens of experts, CC community leaders, and over 100 beta testers from all over the world. Thank you. We will continue offering the CC Certificate with the greatest flexibility, openness and affordability we can. As such, it is important to us to keep improving the CC Certificate course with community input. In addition to the developments mentioned above, we will explore other improvements to the program in 2019 — making the CC Certificate more inclusive and globally accessible, while ensuring self-sustainability. Have ideas for us? Share your ideas with #cccert on Twitter. Continue to make notes and recommendations via Hypothes.is. Use our CC BY licensed, downloadable and editable CC Certificate content, then let us know what is most useful to you. Sign up to take a Certificate course and engage with the growing Certificate community of participants, alumni, mentors, facilitators, and content experts. Registration for courses in 2019 is open here. Join us for an online Certificate overview and brainstorm session, exploring how to better deliver the Certificate and support open communities: 18:00 EST/ 23:00 UTC on https://www.uberconference.com/creativecommons. If you cannot join, please share questions in advance and we will share a recording. We look forward to working with you! The post CC Certificate Changes and Improvements for 2019 appeared first on Creative Commons. Great news! We’re excited to announce that registration for the 2019 Creative Commons Global Summit is now open. The Creative Commons Global Summit will take place in Lisbon, Portugal, 9-11 May 2019. Join us for three days of dynamic programming at Museu do Oriente, with a special keynote evening event held at the historic Cineteatro Capitolio. We’ve grown the CC Global Summit every year as hundreds of leading activists, advocates, librarians, educators, lawyers, technologists, and more have joined us for discussion and debate, workshops and planning, talks and community building. Whether you’re new to the community or a long-time contributor, the CC Global Summit is a can’t-miss event for anyone interested in the global movement for the commons. Please be sure to read the event’s Code of Conduct. All attendees, speakers, sponsors, and volunteers at our conference are expected to cooperate to help ensure a safe environment for everyone. Submit a proposal for the CC Global Summit program! As always, the summit’s programming is built out of ideas from you. Are you an activist, artist, educator, creator, partner, community member, lawyer, journalist, or CC enthusiast? Submit a proposal for a summit session. We’re accepting proposals through December 10, 2018. A huge thanks to the CC Portugal team for their ongoing support in co-hosting the event. We’re excited to see you in Lisbon in May! Photo in graphic by Aurélien Maillet (aka sharkgraphic), used under CC0. Thanks, Aurélien! The post CC Summit registration is now open! appeared first on Creative Commons.